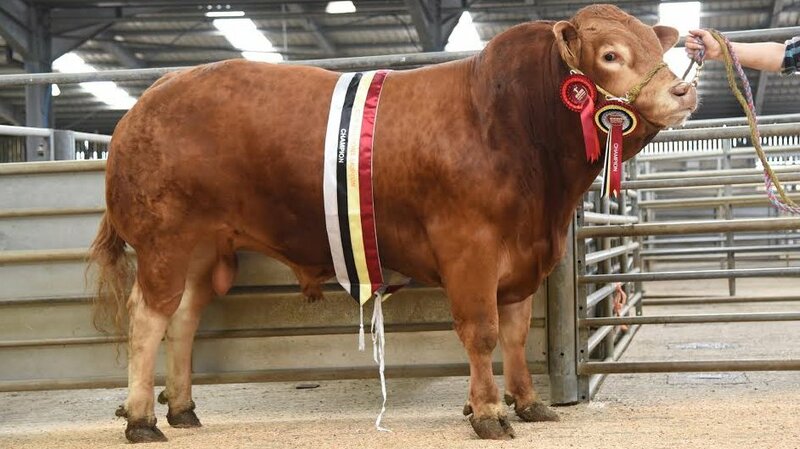 THE Prietec pedigree Limousin herd from Terry and Elaine Priestley, Bentham, took the supreme champion and top price ticket at Skipton’s multi-breeds show and sale of beef breeding cattle. The title winner was the two-year-old bull Oddacres Landlord, which was bought last year at Skipton’s Limousin breed sale from John and Claire Mason, Embsay. By Gallois, and out of Oddacres April, it caught the eye of David White, Horton-in-Ribblesdale, who paid 2,900gns. A 2015-born pedigree British Blue bull from W. and M. Seels, Doncaster, sold at 2,650gns to John Airey, Elslack. Brian Lund, Hebden Bridge, sold his 2016-born Parthenais maiden heifer Walshaw Misty for 2,500gns. By Willow Creek Frankie and out of his Atomic daughter Walshaw Gracie, it sold to an undisclosed Yorkshire-based buyer. 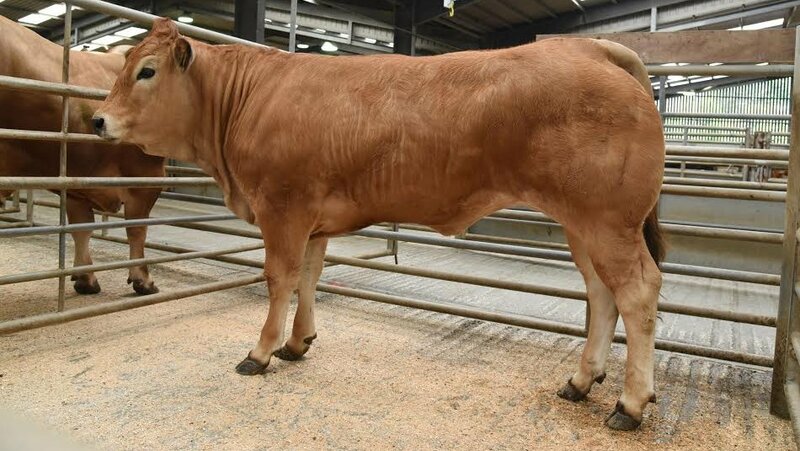 Cows with calves at foot followed the pedigree sale and trade was fast, peaking at £2,250 for a British Blue-cross heifer with a Blonde-cross heifer calf from Jack Berry, Silsden Moor. The outfit found a new home with the Verity family, Nidderdale. R.W. and H.J. Lewis, York, achieved 2,000gns for the April 2011-born cow Redland Georgette, with its seven-month-old bull calf Redland Mosaic. The buyer was Mick Harker, Wycoller. L. Driver, Bradford, also did well with pedigree British Blue entries. He sold a 2010-born bull for 2,000gns to G. Edwards, Preston, along with a cow with a bull calf at foot for 1,950gns to Simon Bennett, Silsden Moor. Parthenais maiden heifer Walshaw Misty from Brian Lund sold for 2,500gns.